It is pretty much a given that there are benefits to writing blog posts for your business. Regular blog posting drives traffic to your website, gives your brand credibility, and brings your business more revenue. According to FactBrowser, B2B marketers who create great blogs generate 67% more leads per month than those who do not. A blog builds customer confidence and relationships. Customers will look to you as a resource for information within your industry; then come to you to buy. Blogging is significantly more time and cost-effective than traditional lead generation methods. Blog posting is also a great way to add content to your site and give Google a better idea of what your company does. Adding relevant content to your website is one of the easiest ways to boost SEO and get more customers to see your product or service. There is a specific process that goes into every well-written blog post. Learning this process and perfecting it to suit your marketing goals is key very important to any marketing strategy. Keywords are one of the most important things to focus on when creating blog posts for your business. Before you even start writing, you should definitely do some keyword research. Keywords are the words and phrases people type into Google in order to find information that matches what they are looking for. Keywords let Google know what your company is all about and putting well-chosen words into blog posts will help push your company’s content higher on Google which can increase brand awareness, improve conversion rates, generate leads, and drive sales. Volume: How many searches are being performed for this word or phrase? Difficulty/Competition: How many pieces of content are there with this keyword or phrase? Efficacy: Will this keyword actually drive the users that you want to your site? Relevancy: This keyword ranks well, but is it relevant to my product or service? To find this information you will need to use a keyword planning tool. We use SEMRush for our keyword research, but you can choose whichever tool you prefer. The goal is to find longtail keywords or phrases (Click here to read more about long-tail keywords) that have a decent search volume, low difficulty (under 40 percent), bring in quality users, and are relevant to your company’s product or service. This may seem like a tall order, but it is possible to find keywords that have most, if not all, of these attributes. Keep in mind that you may have to compromise between the keyword you want to use and the keyword you should use. Keyword planners will show you words and phrases related to your desired keyword and sometimes it is better to pick one that will be easier to rank for. If you choose a keyword that is extremely popular with a large amount of competition, you run the risk of no one seeing your post. 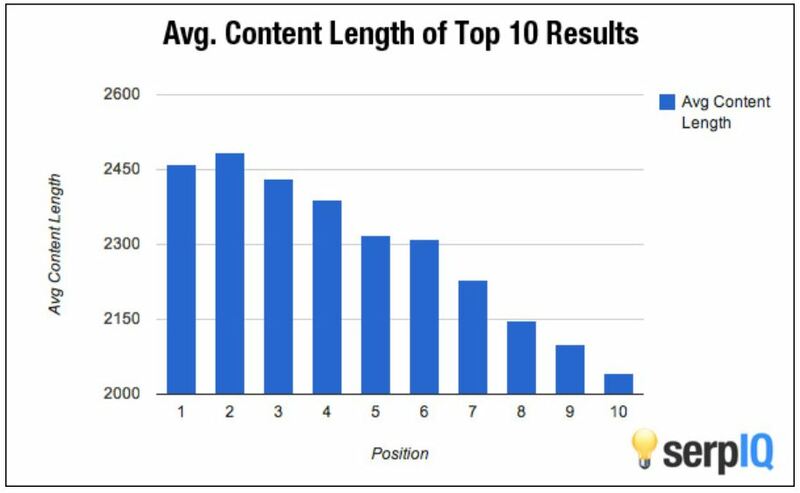 But if you choose a keyword or phrase that has a lower difficulty, your blog post may just snag that coveted number one spot on Google. As you can see this does not read very well at all, and the ratio of the keyword phrase, ‘starting a business’ to the amount of text is pretty high. Google will recognize this and move your post down into oblivion, so keyword stuffing is definitely something to avoid. Once you have found a great keyword or phrase to center your post around, it is time to come up with an interesting topic that utilizes that keyword. This is a good time to dig into to what customers want to know about your company, product, or industry. If you are having trouble coming up with a topic, it is always smart to choose a blog topic that provides a solution to a problem-a solution that your business provides. Make sure you have enough information regarding your chosen topic. A few sentences won’t get you any love from Google. We will talk more about this later. When writing a post you want to stay organized. What you are writing should make sense and be engaging to readers; this is what will make them stay, read your post, and then hopefully move into further your sales funnel. A.I.D.A is a tried and true sales model that has been used for years (over a century) by advertising companies and marketing agencies. It is also a great formula to keep in mind when writing your blog posts. Below you will see how to apply A.I.D.A to your blog post content. Your title/headline (we just call it a title) is the first thing people will see when they perform a search with your keywords. You want to stand out from the other results on the page. By ‘An Attention Grabbing Title’ we mean a title that draws the user in and tells them,”This is the thing you want to read. This piece of writing will give you the information you are looking for.” It doesn’t need to be shocking; it doesn’t need to be click-bait, it just needs to be something that makes them believe that you are about to solve whatever problem they are having. Your title also shouldn’t be boring. To make your title stand out use powerful action words (see our examples below) to entice users. Remember that titles should be 6-13 words long for ideal clickability. The first thing somebody sees when they click on your blog post is the title but to keep them reading your blog post you have to have a great intro paragraph. This is where you hook readers in and set the tone for the rest of your post. Start your intro with an interesting question, statistic, or a quick one or two sentence anecdote. Follow that up with a little synopsis about what the post will be about. Then end your intro with a question, statistic, or anecdote. Headings are a great way to organize your content to make it more digestible for readers-it also helps Google have a better grasp of what your topic is. This is something that tends to get missed when people start blogging but is very important to your readers. Headings are organized from most important to least important and are supported by paragraphs. H2: H2 subheadings support your H1. There can be multiple H2 subheadings in a post. These do not have to include your keyword or phrase unless it naturally makes sense to put it there. H3 and H4: These are subheadings that don’t have to be used in every post, but can come in handy to support ideas within your H2 subheading. Under each heading add a healthy amount of relevant information. This is where you can really get into the meat of your post. You will need to be detailed, stay on track (don’t lose what your end goal is for the post), and write authentically. Your writing should be accessible to your audience base. For example, if you own a company that repairs cars, you don’t want to go too deep into industry jargon because you could alienate potential customers. On the other hand, if you own a company that supplies car parts to repair shops you can use more in-depth, industry-specific language to show your audience that you are legitimate and reputable. Images and visuals are a great way to get a reader more engaged with what you wrote. Images can break up overwhelming walls of text and offer more context to a post. Visuals can be used add graphs and present data in a more digestible way. According to Jeff Bullas, blog posts with images receive 94% more views than those that do not. A call to action (CTA) is a request for your reader to do something. This is where you ask users to sign up for a newsletter, contact your company, or go to your product or services page. You want to use strong action verbs and words that evoke emotion. Instead of saying simply “Contact Us” or “View our Products” at the end of your blog post, use words like discover, sign up, or find out more, buy, shop. These words are straight to the point and have an assertive tone. If you have a free white paper or an ebook that you would like users to download say something like, “Download Our Free White Paper Today!” People like free so use that to your benefit in your call to action when appropriate. Your call to action is also a great space to promote special offers, coupons, and discounts. Call to actions are usually found at the end of a post and stand out from the rest of the text. Occasionally they will be slipped into the body of the post, but you won’t see this tactic used as often. Long blog posts are great, but as you go back through your post, it is important to edit out things that do not drive your content forward. Remember your goal, in the end, is to get the user to click your call to action. Sometimes adding in fluff seems like a fun, quirky idea-and it is-but don’t let that distract from what the goal of your post is. If you find yourself rewording things or reiterating points over and over, edit that noise out. Repeating yourself is a great way to get a potential customer to bounce from your blog to a competitor’s. Writing a great meta description is an art in and of itself. You have anywhere from 150-200 words to tell people why they should read your post over the other ones on the page. By using your keywords and phrases, you are also letting Google know what your post will be about. Know that the more engaging your meta description is, the better. Meta descriptions should be clear, concise, and promise a solution to the searcher’s problem. Keep the information in your meta description specific and relevant. Below we see two titles that are similar, but as you can see by the meta descriptions these two pages solve two different problems. Meta descriptions give the user a little synopsis of what they will be reading. After you have researched, written, edited, and re-edited your post, it is time to publish it on your website. Always preview a post before hitting that publish button and remember that everything is editable if you happen to find a mistake later down the line. The work doesn’t stop after your blog is posted. You will want an easy way to track your posts to see how they are performing on Google. You will want to use an analytics tool like Google Analytics to do this. Seeing your blog posts’ level of popularity and metrics will help you plan for future posts and further build your brand’s authority. We realize this may seem like a lot of work, but the pay off that comes with writing great blog posts for your business is well worth the effort. 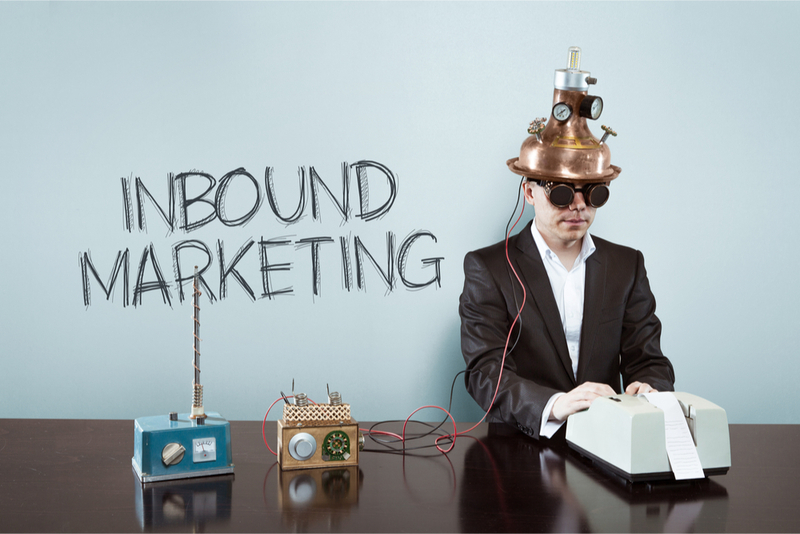 Regular blog posting is simply one of the best ways to bring more leads into your company. If you feel like this might be a bit too much of an undertaking, contact us. We would be happy to get your blog up and running! We Don’t Bite! Contact the Unravel Digital Marketing Team Today! Your old content might be embarrassing and seem useless, but there are ways to revamp old posts and make them new again. Read up on 5 ways to improve your old blog posts.